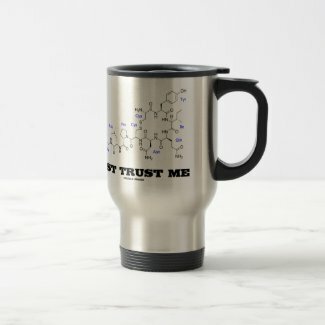 Are you a trusting person? 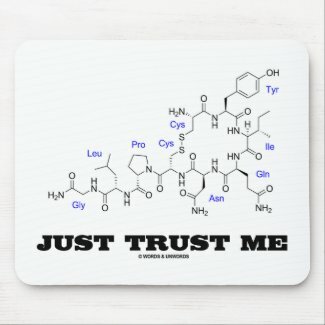 Oxytocin is known as the hormone of trust. 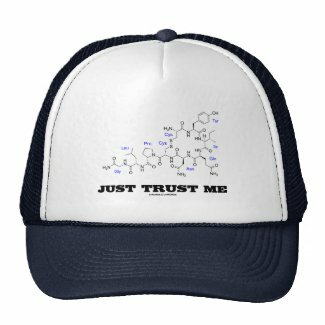 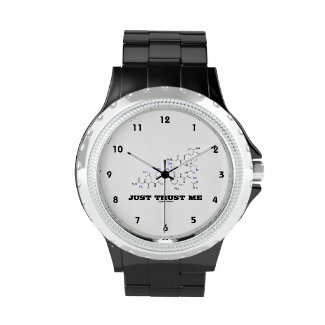 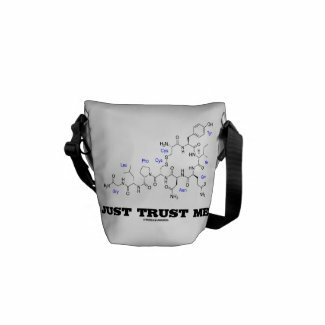 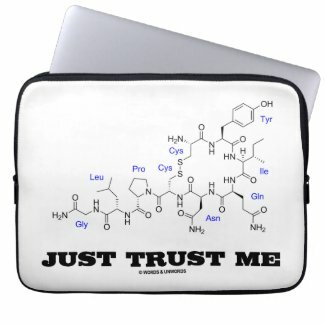 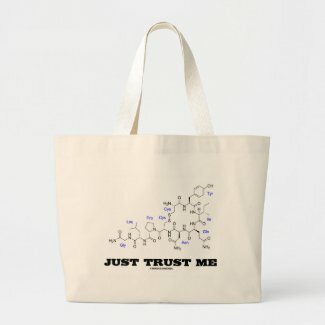 Let your wry geek sense of humor shine with any of these chemical structure gifts featuring a 2-D representation of oxytocin along with the caption that says it all: "Just Trust Me". 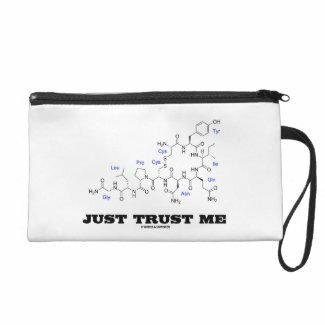 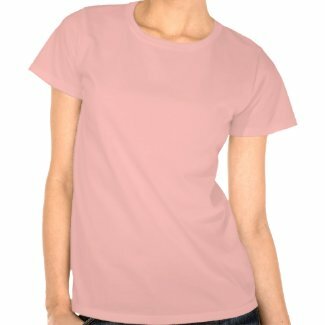 Browse Zazzle for more commuter bags.